Although not a city with a huge number of condominiums, Columbia does offer some great options for care-free living. For example, the Vista in downtown Columbia has sprung to life in recent years, offering unique properties ranging in size from one bedroom condominiums to 4,000 square foot homes overlooking the city’s skyline. Nearby shops and restaurants as well as Columbia’s most active nightlife make for a lively neighborhood. 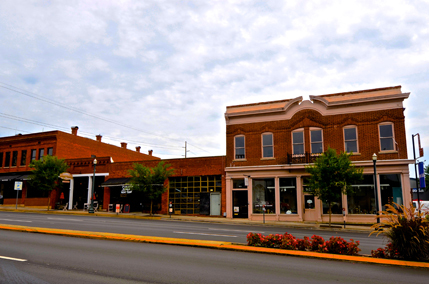 The Downtown Center has several options for living on Main Street in upscale condos over thriving storefronts. Main Street has recently welcomed Mast General and the well established Nickelodeon Theatre. Weekly open air markets offer downtown dwellers and workers alike the opportunity to purchase fresh bread, fruits and vegetables, and even arts and crafts. Periodic festivals also add to the vibrancy of the area. In addition, nearer to USC’s flagship campus, Adesso offers upscale amenities and concierge services. The property features a beautiful pool and grilling deck for residents, just a short stroll from the State House or campus. Sprinkled throughout the downtown area, you will find patio homes and townhouses that require minimal upkeep and offer very convenient living at a reasonable price.